Toys for Tots first began in 1991 as a special project for the U.S. Marine Corps. 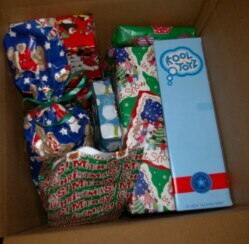 It provides less fortunate children with Christmas gifts throughout the United States. It was created as a special foundation to enable corporate and private sponsorship for children. It also allows gifts to be tax-deductible. Each year, it has a special promotional poster created for this event. The one that we used for this post is their 1996 promotional poster. Drop off a toy at one of the toy box locations in your local area. Host your own toys for tots event at your home, office or community center. Donate a toy, request a toy or give a monetary gift online. 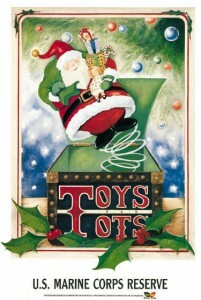 Toys for tots is one of the most successful Christmas charities for kids. Since its inception, Toys for tots has distributed over 469 million toys to over 216 million less fortunate children. Learn more about them through their website. Many times, there are children whose parents are serving abroad while they wait at home for their return. This includes the holidays as well. In 2007, Soldiers’ Secret Santas started to help make Christmas for these children more special. Donations are collected through the website. Donors send the amount they would like to donate through Paypal. A few weeks before Christmas, giftcards are sent to military families so that Santa can visit for Christmas. For more information, please visit SoldiersSecretSanta.org. Be An Elf works with the United States Post Office to help children from low-income families have a merry Christmas. It first started with just 3 locations and has now expanded to over 75. Initially, the United States Post Office had been doing this initially. Be An Elf was started in 2004 and become a non-profit organization in 2009. Each year, members of their organization visit the post office with their photo id to be able to retrieve the letters. You can find a list of locations on their website. In addition to being a volunteer, you can donate online or send a check through the mail as well. The Make-A-Wish Foundation originated from a simple act of kindness. In a long night stakeout in the spring of 1980, a US Customs agent told one of the Department of Public Service that he was trying to get help for a friend’s 7 year-old son, Chris Greicius who had leukemia. He didn’t have to much time to live and it was his wish for him to be with police officers so he could catch bad guys. Since it wasn’t possible with the U.S. Customs department, the DPS thought there might be something they could do. Surely enough they could. They were able to bring Chris to the station for the day. They showed him around, gave him a Smoky the Bear hat and an old DPS badge. They also made him the department’s only honorary officer. When fellow officers shared this story with strangers, many of them were touched by such a thoughtful gesture. 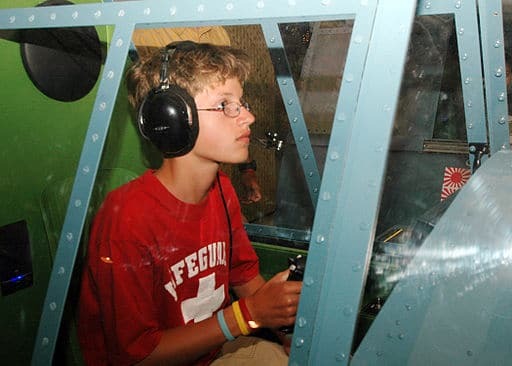 Make-A-Wish was founded to give all children who were terminally ill this opportunity to be able to make that one wish. Since then, over 14,000 wishes have been granted. Make-A-Wish accepts donations throughout the year through their website. However, during the Christmas season, they offer special holiday gift cards that can be purchased. All proceeds from the sales go to benefit the children in their fund. A box of 20 starts at $20 USD. As we approach the holiday season, it helps us to remember what’s really important in life. These Christmas charities for kids are ones that touch our heart. Please share below what charities are special to you during the Christmas season.